The staff at BFD Building Centre are certainly not limited to Fence and Deck knowledge. Our in-house experts are trained to cater to all of the building, repair and renovation needs of both homeowners and contractors. We are here to provide quality products, advice and service to help our customers build or renovate with confidence. If you are the type of homeowner who enjoys renovating and working around your home, we have affectionately given you the nick-name “Weekend Warrior”. Why not shop like a professional contractor? Sign up now for the BFD Building Centre Weekend Warrior card, and enjoy savings throughout the year on all of your building, repair and renovation supplies. As an independent RONA affiliate, BFD Building Centre carries a complete line of lumber and building supplies, hardware, paint, kitchen & bath, plumbing, electrical, windows, doors and trim, etc.... basically anything you need for your home improvement or repair project. Check out the product supplier links below, or call us anytime for all of your building and renovating needs. 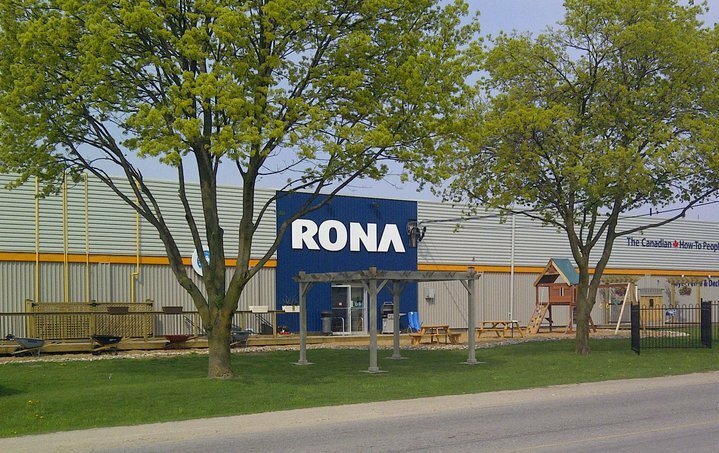 We also have access to the complete RONA product line and would be please to order anything we happen to not have in stock. To check out the current Rona flyer click here. For decades, our company has been relied on by Contractors for top quality fencing and deck materials and excellent service. Since we have become an INDEPENDENT RONA affiliate, BFD Building Centre now provides this excellent service and high quality level along with a more complete range of products including lumber, hardware, paint, plumbing, electrical, windows, doors and trim. Our Project Desk is staffed with knowledgeable professionals who are ready, willing and able to service the needs of Home Builders, Renovators, General Contractors, Trade Contractors, Property Managers, Tenants, Business Owners ...... and the list goes on. Drop by today and look through our store. You will be amazed. A Credit Application is available for contractor and business accounts. However, if you are more interested in a "Pay as you go" arrangement (Cash, Debit, Credit Card) just call or drop in and we would be happy to set you up with preferred pricing on the materials, hardware, tools, etc. that you use every day on the job. You can also email us at sales@bfdrona.com to request a “Pay as you go” account under your company name. Air Miles are also available on "Pay as you go" accounts only. To receive weekly email notifications with a link to our current flyer, enter your information here.